Let's start with the zeppole shell. These airy donut shaped treats are light, lightly sweet and fried to perfection. They fill them to order so there's no chance of the zeppole getting soggy while they wait to be purchased. Always a plus. Milani's fillings are what take them over the top. 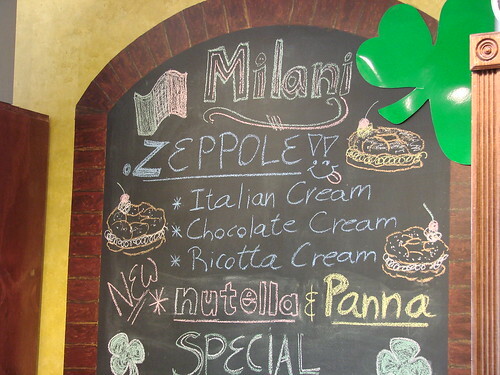 Not only can you get vanilla and cannoli cream and chocolate, but they also have Nutella and panna filled zeppole. Yes, that's zeppole filled with Nutella and whipped cream. Genius. Still, even with the delicious, yet unorthodox Nutella and panna zeppole in the mix, it's the chocolate zeppole that reigns supreme. Milani's chocolate filling is darker and richer than most other bakeries in the New Haven area and for that they take top marks. Alas, now that Easter has come and gone so to has zeppole season. Next year you can be sure that I'll be hitting up Milani's. 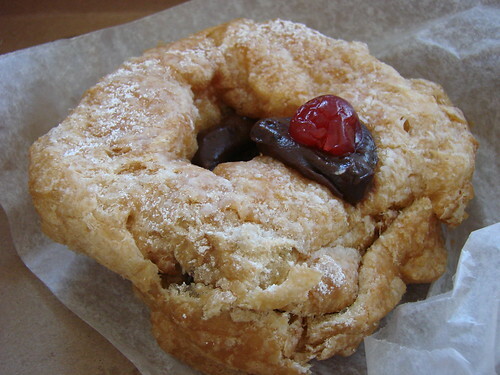 I saw what looked like a chocolate zeppole at Peter Pan bakery on Saturday! Check there too! Do they ship? They look amazing!! @roopa: just let me know when you want to get on the train. The Pantry makes awesome pancakes! @mochicheeks: thanks for the tip!! @Tullio: oooh! Thanks for the tip! 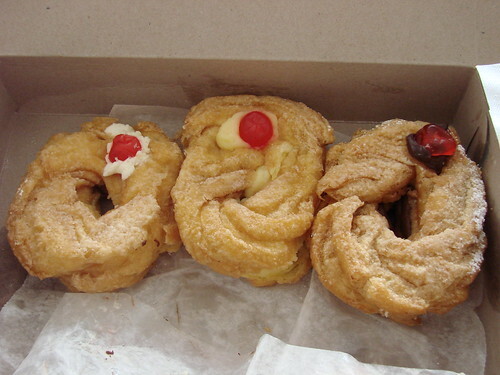 Are you making Zeppole everyday through St. Joseph's or just the weekends?